Join us on Friday, May 10th, 2019 for MORE THAN PINK. Your are invited to attend an exclusive event announcing a new initiative Susan G. Komen Tidewater will launch in an effort to do MORE in 2019. (announcement at 8 pm). Brian Bleakley and Steve Ambrose are 2 for Fun. Both Brian and Steve are lead singers with the international recording artists the Original Rhondels. Their combine vocal talents and their horn playing are an unbeatable combination. Throughout the evening guests will experience a new trend in event dining, the Grazing table, music and dancing and most importantly fund raising. Bring your friends and purchase a reserve for 10. Tickets are $25 each or a table for $225. 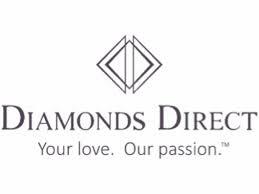 Diamond Direct has selected a couple of unique pieces of jewelry for this evening to be given to the winners of “Head and Tales”. Never heard of Head and Tales – don’t worry, with a quick explanation you will be an expert! !